I would exercise more, but I don’t have enough time. I would eat better, but I don’t know how. I would grow a much more successful business, but it’s just too hard. Sean Stephenson, a motivational speaker and American therapist, wrote a book titled Get Off Your BUTS. It’s a great book about getting out of your own way. In his book he says there are three types of BUTS. First you have your BUT Fears. This but always starts with but what if…But what if I fail? But what if I look bad? The third but is the worst but of all! It’s your BUT Insecurities. This but always starts with But I’m not…But I’m not tall enough. But I’m not fit enough. But I’m not strong enough. 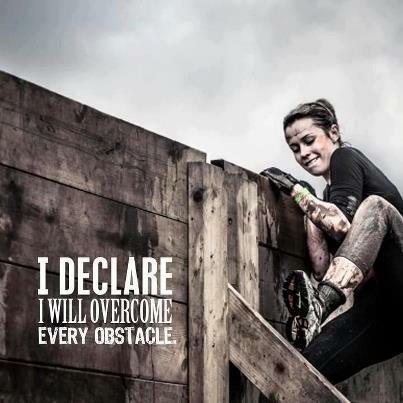 I know I have let these obstacles get the best of me a lot in my past, and I think that is why I gravitate towards challenges like the Worlds Toughest Mudder now! I’ve always believed that the bigger the challenge the bigger the reward, and when you overcome a big obstacle it builds your confidence so much that you can overcome any other obstacle that gets in your way. We let our buts hold us back all of the time! We convince ourselves that are but is so big that it is impossible to overcome. In reality it is just another obstacle, and all we have to do to overcome it is stand up! Take a stand, and get off your buts!